Administrative Law Judge Adeniyi A. Ayoade (ALJ), Office of Administrative Hearings (OAH), State of California, heard this matter on January 24, 2013, in Bakersfield, California. 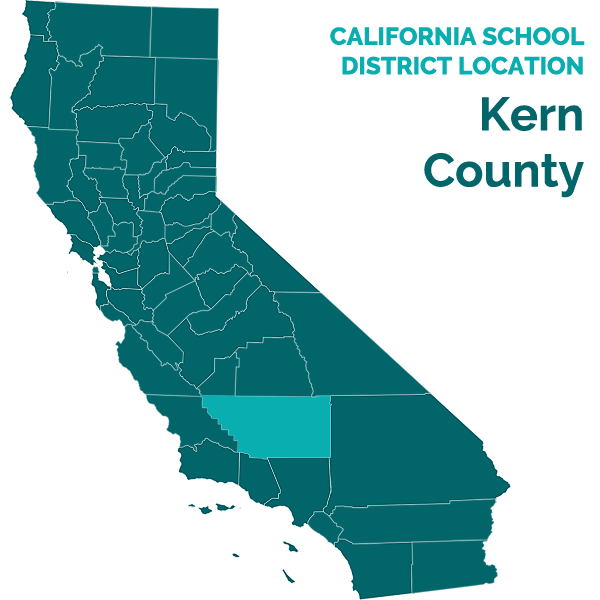 Kathleen R. LaMay, Attorney at Law, represented the Kern High School District (District). District’s Special Education manager, Patrick Blake, and District’s Special Education Coordinator, Jay Durant, were present on behalf of District. Kamilah Holmes, Attorney at Law, represented Student’s Parents on behalf of Student. Both Parents were present at the hearing. Student was not present. 1The decision issued on February 15, 2013, erroneously stated that District filed the complaint herein on December 24, 2012. December 24, 2012 was the date OAH opened, and assigned this case an OAH Case Number, but the complaint was filed with OAH on December 21, 2012. 3To maintain a clear record, the closing briefs have been marked as exhibits. Student’s brief is marked Exhibit 19, and District’s as Exhibit G.
4This issue is as framed in the complaint, and as confirmed in the January 16, 2013 Order Following Prehearing Conference. 5By requesting an IEE, as discussed herein, Student challenged the appropriateness of District’s October 2012 assessment. District has filed this action and it bears the burden to establish that its assessment was appropriate. However, as discussed in Factual Finding 18 below, at hearing Student conceded that he did not dispute aspects of District’s assessment except in the areas of Student’s mental health needs and behavioral, social and emotional functioning. Furthermore, Student contests District determination that he is not eligible for special education. Student did not file his own action and the sole issue for determination in this matter is whether District’s assessment was appropriate. Accordingly, this decision does not make any findings on whether Student is eligible for special education. 6Under Section 504 Plan, a student would receive modifications to the regular school program, and may receive needed accommodations in the general education setting. This is different from special education under Individuals with Disabilities Education Act (IDEA), which is provided to a student whose needs due to disability cannot be addressed through modifications and/or accommodations in the general education setting. For special education eligibility, such a student must not be capable of progressing in the general curriculum without the need for special education. OAH’s jurisdiction is limited to IDEA. Did the District’s psychoeducational evaluation, completed in October 2012, meet all legal requirements so that Student is not entitled to an independent educational evaluation (IEE) at public expense? As a proposed resolution, District requests a finding that its psychoeducational evaluation is appropriate and that Student is not entitled to an IEE. District contends that its psychoeducational assessment of Student was complete, comprehensive and appropriate. District further contends that it gathered relevant, adequate and useful information about Student, his disability and unique educational needs through its assessment. It asserts that it used various tools to assess Student and that it did not use any sole criterion to determine that Student was not eligible for special education. Further, District maintains that it used appropriate and valid testing instruments for the assessment, that its assessors were qualified to conduct the assessment, and that Student was adequately assessed in all areas of suspected disability. Finally, District contends that the assessment provided Student’s individualized education program (IEP) team with useful and sufficient information about Student. Therefore, Student is not entitled to an IEE at public expense. 1. Student is an African-American boy who was 14 years and 11 months old at the time of the hearing. He resides with his Parents within the boundaries of District and has attended District’s Centennial High School from August 2012. 2. Student is diagnosed with attention deficit hyperactivity disorder (ADHD), hearing loss and behavior disorder. He received special education services from 2006 through 2009 following his assessment and identification by Victor Elementary School District in 2006. His eligibility category was other health impairment (OHI) due to his attention deficit hyperactivity disorder. 3. In 2009, Bakersfield City School District reassessed Student for special education eligibility. Based on the assessment, Bakersfield City School District determined that Student was no longer eligible for special education and related services. Since 2009, Student has not received special education services. He is currently not eligible for special education and related services. 4. Student has many well-documented behaviors issues in his disciplinary record. For example, during the current school year, Student engaged in harassment, use of force or violence on another, class disruption, and dress code violation, among others. His disciplinary profile at District showed that Student received lunch detention and two days suspension for these recent behavioral incidents. Based on Student’s records from prior school districts, Student engaged in various behaviors that included sexual harassment, making inappropriate sexual comments, verbal abuse and threat of physical abuse of others, possession of marijuana on school ground, selling of items on school ground, fighting, and other actions that violated school rules and policies. Due to these prior behavioral problems, Student received many disciplinary actions including several suspensions. 5. To address his ADHD and related behavioral issues, including impulsivity and hyperactivity, Student has received treatment in the form of medication and therapy. District is aware of Student’s ADHD and other diagnoses, and had developed a plan pursuant to Section 504 of the Rehabilitation Act of 1973 (29 U.S.C. § 701 et seq.) (Section 504 Plan) to address Student’s educational needs.6District is also aware that Student takes medication for attention, depression, and aggression, and that he participates in ongoing treatment for his ADHD. At the time of Student’s assessment, he was prescribed the psychotropic medications Concerta, for attention issues, Welbutrin, for depression, and Risperdol, for aggression issues. 6. In August 2012, Parents requested a psychoeducational assessment of Student due to his behavioral problems. District timely prepared and provided Parents with an assessment plan, dated August 13, 2012. Parents signed the assessment plan on September 4, 2012. According to the assessment plan, and witnesses’ testimony including that of Mother, at the time of District’s psychoeducational assessment of Student, his areas of suspected disability included ADHD, emotional disturbance (ED) and hearing loss. Thus, District agreed to assess Student’s ADHD, mental health, behavioral, social and emotional functioning, as well as hearing loss through its assessment of Student. 7. A school district is required to assess a student in all areas of suspected disability to determine special education eligibility. Persons who are knowledgeable and competent to perform the assessments must conduct the assessments. The assessments must be administered in the primary language of the student to be assessed, and must be in the form most likely to yield accurate information on what the student knows and can do academically, developmentally, and functionally, unless it is not feasible to do so. Tests and assessment tools must be used for purposes for which they are valid and reliable, and administered in conformance with the instructions provided by the producer of the tests. District may not use a single measure as the sole criterion for determining whether a student is eligible for special education, or whether a particular special education program is appropriate. An IEP meeting to review the assessment must occur within 60 days of receipt of parental consent for the assessment. 8. Based on the assessment plan dated August 13, 2012, Student’s academic performance, and educationally related mental health services, self-help, social and emotional status (including independent functioning skills, social skill, adaptive and social behavior), motor ability, cognitive/learning and processing ability, health development (including vision and hearing), career, vocational abilities/interest, and psychological processing were to be evaluated. District conducted its psychoeducational assessment of Student between September and October 2012. 7Student did not raise any issue regarding the timeliness of the assessment, or procedural issues relating to the assessment. 10. As part of the assessment, District conducted a review of Student’s educational records and other available medical or health records. It included Parents’ interview, Student’s interview, and classroom observation by Student’s teachers and assessors. Dr. Valenti and the assessment team reviewed Student’s school records including his behavioral and disciplinary records. Student’s developmental, health and medical histories, family history, and his social, emotional and behavioral histories both at home and in school were also reviewed. 11. Dr. Valenti conducted a clinical interview of Student. Mother did not sign a release for Dr. Valenti to obtain any clinical records, and did not request that Dr. Valenti, or any of the assessors review any additional medical, clinical or health information other that those provided by Mother. The evidence showed that Dr. Valenti, and other assessors reviewed all available information about Student, and that the review of Student’s records was both extensive and adequate. 12. As part of the psychoeducational assessment, the assessment team evaluated those areas of suspected disability and concerns identified in the August 13, 2012 assessment plan through various assessment tools. They evaluated Student’s attention, social/emotional and behavioral functioning, and the impact of Student’s ADHD or other suspected disabilities, including emotional disturbance. The team assessed Student’s academic and cognitive/intellectual functioning, executive functioning skills and psychological processing. The tools administered included the Woodcock-Johnson Test of Achievement, Third Edition (WJ-III), Cognitive Assessment System (CAS), Conners’ Continuous Performance Test (CPT), Delis-Kaplan Executive Functioning System (D-KEFS), and the Behavior Assessment System for Children, Second Edition (BASC-2). The assessors prepared a psychoeducational assessment’s report following the assessment. 13. According to Dr. Valenti, District assessed Student in all areas of suspected disability including those relating to his ADHD, emotional disturbance and hearing loss. The assessors were knowledgeable and competent to perform the assessment. District administered the assessments’ tools in English, Student’s primary language, and in the form most likely to yield accurate information on what the student knows and can do academically, developmentally, and functionally. Further, Dr. Valenti established she used tests and assessments’ tools for purposes for which they are valid and reliable, and that she administered the tests in conformance with the instructions provided by the producer of the tests. 14. As relevant to this hearing, no issue has been raised regarding the appropriateness of District’s assessment of Student’s hearing loss/impairment, motor ability, (including vision and hearing), career, vocational abilities/interest, and little or no evidence was offered at the hearing regarding these issues. In addition, based on the stipulations of the parties at the hearing, the evidence showed that District appropriately assessed Student’s cognitive, intellectual and academic functioning pursuant to its October 2012 psychoeducational assessment. Therefore, the only issue in this case pertains to the appropriateness of District’s evaluation of Student’s mental health, behavioral, social and emotional functioning through its October 2012 psychoeducational assessment. 15. The team evaluated Student’s cognitive and academic functioning and the impact of Student’s ADHD on his academic performance. District administered the WJ-III, the CAS and D-KEFS, to investigate these issues. The WJ-III is a comprehensive assessment tool designed to provide an overall measure of academic development skills. The CAS is an assessment battery designed to evaluate cognitive processing, and designed to measure Planning, Attention, Simultaneous, and Successive Processing in individuals ages five to seventeen. D-KEFS is a standardized set of tests that assess key components of executive functions and higher-level cognitive functions in both children and adults between the ages of eight and 89. It comprises of nine tests that measure a wide spectrum of verbal and nonverbal executive functions, such as flexibility of thinking, inhibition, problem solving, planning, impulse control, concept formation, abstract thinking, and creativity. The WJ-III, CAS and D-KEFS are appropriate for Student’s age at the time of testing. 16. The team administered WJ-III to test Student’s basic academic skills in math, reading, written and oral language. The results of the WJ-III indicated that Student’s skills in all academic areas in the average to above average range. In the CAS, Student achieved a Full Scale standard score of 94 in the tested areas (Planning, Attention, Simultaneous, and Successive Processing), and placed Student in the average range in the 34 percentile rank. 17. Student was administered the Trail Making Test, Verbal Fluency Test, Color Word Interference Tests of the D-KEFS. In all, Student achieved scores that placed him in the average to a high average range, with the exception of his score in “Number-Letter Switching task” under the Trail Making subtest of D-KEFS. In the Number-Letter Switching task, Student achieved a scaled score of 4, indicating that he has some difficulty in flexibility of thinking. The low score in this area means that Student may struggle with multitasking, simultaneous processing and divided attention. 18. At the hearing, Student’s mother testified that she does not dispute the appropriateness of District’s cognitive/intellectual testing or academic testing conducted as part of District’s October 2012 psychoeducational assessment. Thus, Student agrees, and both parties stipulated, that the cognitive/intellectual testing and the academic testing evaluated through the WJ-III, CAS and D-KEFS are appropriate. Parties’ stipulation to these facts is accepted, and accordingly District appropriately assessed Student’s cognitive, intellectual and academic functioning pursuant to its October 2012 psychoeducational assessment. 19. Student was also administered the CPT, a computer-based test, in order to assess his sustained visual attention. The result of the test showed that student has no significant attention problem, as he obtained a Confidence Index score of 63.53 percent, which indicated no significant attention issues due to his ADHD. According to Dr. Valenti, this test, together with the CAS and D-KEFS, and some of the academic testing under WJ-III enabled District to explore the impact of Student’s ADHD, if any, on his educational performance. Dr. Valenti credibly explained that District obtained information relating to the interaction of Student’s ADHC and his ability to learn. 20. Regarding the hearing loss, Dr. Valenti testified that the school nurse and her reviewed Student’s health and medical records, and evaluated Student’s hearing issue, and any impact the hearing loss might have in Student’s educational performance. Student’s verbal skills and auditory processing ability were tested, both in the CAS and in several of the subtests administered in WJ-III. Student did well in these tests. Based on Student’s performance in the CAS and the WJ-III, Dr. Valenti does not believe any hearing loss that the Student suffered has any significant impact on Student’s educational performance, or his ability to learn. Also, Dr. Valenti explained that based on her observation and others’ observation of Student, and the extensive review of records, among other, a determination could not be made that Student required special education due to his hearing loss. 8In the assessment report, Dr. Valenti reported that Student suffered a 60 percent loss of hearing in one year and a 20 percent loss of hearing in the other year. The report further states that Student began the school year with a hearing aid, but at some point lost it. District only tested Student’s hearing in the year with 20 percent loss. The assessment report does not state whether Student was administered all test materials with or without the hearing aid, whether any steps were taken in the administering of tests to accommodate the hearing loss and whether the hearing loss impacted Student’s test results. However, as discussed in Factual Findings 18, because Student conceded all aspects of District’s assessment except in the area of mental health needs and behavioral, social and emotional functioning, District’s assessment with respect to Student’s hearing loss is found appropriate. 9The assessment reports reviewed included those completed by prior school districts: 1) the comprehensive psychoeducational assessment report conducted by Fruitvale School District, December 2011; 2) the reports of the Triennial assessment conducted by the Bakersfield City School District in March 2009; and 3) the initial evaluation report conducted by the Victor Elementary School District in March 2006. These assessments, particularly those of Fruitvale School District and Victor Elementary School District evaluated Student’s cognitive abilities, memory and learning skills, visual memory/ visual motor skills, attention and concentration, auditory processing and comprehension, academic skills, and adaptive behavior skills, among others. Victor Elementary School District found Student eligible for special education under the eligibility category of OHI due to his ADHD in 2006. However, both Fruitvale School District and later, Bakersfield City School District determined that Student was not eligible for special education and related services. However, since the time Student was in Bakersfield City, he has received, and continues to receive accommodations under his Section 504 plan due to his ADHD and related behavioral issues including distractibility and lack of organization, among others. 10Not typical, not conformable to the type or normal form. 11Mother reported that Student both externalizes and internalizes problems. 12See Legal Conclusion 2 for eligibility criteria for ED. 13Courts have found that a student is socially maladjusted when the student acts in deliberate noncompliance with known social demands or expectations, see e.g., E.S. v. Fairfax County Sch. Bd., 134 F.3d 659, 664 (4th Cir. 1998), or when the student’s behavior is controlled, predictable, and purposeful, see e.g., Perris Union High Sch. Dist., Case No. 1396 (Cal. SEA 2000). Generally, drinking alcohol, abusing drugs, running away from home, or getting in the occasional fight are associated with social maladjustment, not ED. See In re Sequoia Union High Sch. Dist., 1987-88 ELHR Dec. 559:133, 135 (N.D. Cal. 1987) (“[S]ocially maladjusted [is] a persistent pattern of violating societal norms with lots of truancy, substance . . . abuse, i.e., a perpetual struggle with authority, easily frustrated, impulsive, and manipulative.”). A student who is socially maladjusted can still qualify for special education if the student is also emotionally disturbed. 14These behaviors include those that have resulted in suspensions and various other disciplinary actions against Student, as described above. 22. Dr. Valenti, was in charge of assessing Student’s mental health, behavioral, social and emotional functioning. Dr. Valenti is both a clinical psychologist and school psychologist. She received her doctorate in clinical psychology in 2007, master’s degree in education/reading in 1991, and her bachelor’s degree in communicative disorder-speech, language and hearing in 1985. She holds a neuropsychology specialization certificate, Professional Clear Pupil Personnel Services credential, Resource Specialist credential, and Clinical Rehabilitative credential. Dr. Valenti also works part time in private practice as a clinical psychologist, where she specializes in psychological and neuropsychological evaluations of children and adults. 23. Dr. Valenti has worked for District for about 27 years. She has worked as the school psychologist for 17 years (since 1995), and in the classroom as a speech and language pathologist for about 10 years. As a school psychologist, she is qualified to conduct psychoeducational assessments of students. She has conducted several educational assessments including psychoeducational assessments and those involving communicative disorder and auditory processing. She is familiar with suspected disabilities including ED, ADHD and hearing loss. As a speech pathologist, she is qualified to work with students with communicative disorder and sensory deficits including hearing loss, among others. Dr. Valenti has conducted several educational assessments, including psychoeducational and speech and language assessments. During her 27 years in the District, she has conducted about 100 educational assessments per month. 24. Further, Dr. Valenti has experience assessing students for special education eligibility, and is familiar with both ED and ADHD, and the related social, emotional and behavioral issues. She has participated in many IEP team meetings and has worked with teachers and parents regarding students’ educational, social and behavioral needs. Dr. Valenti is qualified and experienced, and knowledgeable in using the legal criteria to determine whether a student is eligible for special education and related services, either due to ED or OHI. 25. Through the written psychoeducational report, and her testimony, Dr. Valenti established that as part of her assessment she reviewed Student’s educational records, available developmental, medical and health records (including documentation from Dr. Lourdes Grayson – Student’s doctor), and prior assessment information.9 She conducted interviews of Parents and teachers, and obtained background information about Student, as well as Student’s behavioral histories both at home and school. Dr. Valenti met with Student’s Mother twice during her assessment of Student and each of the meetings with Dr. Valenti lasted about 90 minutes. One of the meetings took place before Dr. Valenti’s assessment of Student, and the other after the assessment. 26. During their meetings, Mother presented Dr. Valenti with Student’s developmental, medical and health histories, as well as family, social, emotional and behavioral histories. Dr. Valenti observed Student during her testing, and coordinated with his teachers to conduct additional observations during his classes. Four of Student’s teachers observed during their respective classes in English, Earth Science, Algebra and Physical Education. Additionally, Ms. Campbell observed Student during the administration of the WJ-III test. Each reported on their observations, and noted any issues relating to Student’s behaviors. The evidence showed that Dr. Valenti obtained relevant, comprehensive and useful background information about Student and Parents’ concerns regarding mental health, behavioral, social and emotional issues in Student. 27. Student is a member of his high school Freshmen Football Team. Dr. Valenti spoke with his football coach, Mr. Antongiovani. Mr. Antongiovani stated that Student had issues with peer interactions and that Student is “not connected” with teammates. According to the coach, Student often missed practice, among other reported issues. Finally, Dr. Valenti reviewed Student’s current and previous disciplinary records, and obtained information about his academic performance and abilities from his various teachers. During the fall of 2012, Student quarter grades were “B” in Algebra Lab, “C” in Algebra 1, “A” in Academic Achievement, “B” in Earth Science, “C” in English and “B” in Physical Education. 28. Dr. Valenti administered the BASC-II through use of the BASC-II questionnaires to Mother, Student and two teachers, Ms. Regier and Mr. Spotts. The BASC-II is a multidimensional test, which measured numerous aspects of Student’s behavior and personality. The BASC-II is designed to facilitate the differential diagnosis and educational classification of a variety of emotional and behavior disorders in children. 29. Dr. Valenti reported the scores from the clinical and the adaptive scales of the BASC-III questionnaires. The clinical scales’ scores showed that Student had issues with externalizing problems, atypicality,10hyperactivity, depression, aggression, withdrawal and attention. With the exception of withdrawal, Mother reported greater concerns in all areas. In the adaptive scales, issues relating to adaptability, social skills, leadership, study skills, activities of daily living, externalizing problems,11behavioral symptoms index and adaptive skills were reported by the raters. Through their separate composite scores, both teachers placed Student in “at-risk” range for externalizing problems. Mother reported clinically significant scores in the areas of hyperactivity, aggression and conduct problems. Further, Mother placed him in the clinical significant range for depression, and in the at-risk range by his teachers. 30. Student’s own scores placed him in at-risk range for anxiety, self-esteem issues, attention problems, and social stress. Dr. Valenti stated that Student initially reported some issues with worrying, with establishing and maintaining close relationships, and with peers’ interactions, but denied symptoms of anxiety or social stress when she last met with Student in October 2012. 31. Dr. Valenti explained that even though the BASC-II scores showed many significant findings in both the clinical and adaptive scales, she does not believe that Student is emotional disturbed. Additionally, she opined that Student’s behavioral issues relating to his ADHD, such as hyperactivity, attention, organizational and distractibility could be addressed outside of special education, and that Student needs could continue to be met with his currently implemented Section 504 plan. Further, Dr. Valenti’s believes that Student’s additional behavioral issues, especially those relating to aggression and conduct problems are due to Student’s diagnoses of Disruptive Behavior Disorder (Conduct Disorder), or social maladjustment. 33. Dr. Valenti opined that it is likely that Student’s difficulties with peer interaction will at times contribute to some social stress and result in increased symptoms in Student’s depression and withdrawal. However, Dr. Valenti does not believe that Student’s issues with peers’ interactions, worrying, anxiety and possible depression has any impact on his educational performance, or ability to learn. She does not believe Student requires special education services especially since Student’s current assessment revealed average to above average academic skills. In conclusion, Dr. Valenti determined that Student did not qualify for special education under OHI because his needs could be adequately met through District’s 504 Plan and medication; additionally, he did not qualify for special education under ED because his behavioral needs could be adequately met through the 504 Plan and a behavior support plan. 34. Mother explained that she disagrees with Dr. Valenti’s conclusion that Student is not emotional disturbed, or that his extreme behaviors14 have no relationship to his disability. According to Mother, Parents have been concerned about Student’s difficulties with aggressive behaviors and his inability to solve peer conflicts appropriately. Further, Mother explained that while Student is a “high achiever” academically, he has had difficulties with organization, impulsive and compulsive behaviors. Mother believes that Student’s school disciplinary problems, and his numerous suspensions adversely affect his educational performance. 35. The IEP team met to review the psychoeducational assessment results on November 16, 2012. Dr. Valenti and other District’s personnel attended the meeting. Dr. Valenti, the School nurse and other assessors presented the results of their assessments of student. Based on the recommendations of Dr. Valenti, the District determined that Student did not qualify for special education services. Parents disagreed with Dr. Valenti’s recommendations and District’s determination that Student does not qualify for special education services. Based on this disagreement, Parents requested an IEE at the November 16, 2012 IEP team meeting. District filed this case to demonstrate that it appropriately assessed Student in all areas of suspected disability, pursuant to its October 2012 psychoeducational assessment of Student. Mental Health, Behavioral, Social and Emotional Functioning? 36. Persons knowledgeable about the student’s suspected disability, which in this case included OHI due to Student’s ADHD and ED, shall conduct the assessments. As discussed above, the evidence showed that District’s assessors were aware of all areas of suspected disability for Student, including hearing loss, ADHD, and ED and behavioral issues. They obtained relevant information about Student from prior assessment reports, Student’s records, and conducted interviews of Parents and Student, among others. Student’s teachers and Dr. Valenti also observed Student on many occasions. Thus, the evidence showed that the assessors are knowledgeable about Student and his areas of suspected disability. 37. The assessors utilized a variety of assessment tools to evaluate Student. These tools included the CAS, D-KEFS, WJ-III, BASC-II and CPT. They assessed all areas of suspected disability in Student. The evidence showed that the assessors were familiar with the test tools and have used the tests in past evaluations. The assessors administered the tools to Student in English, Student’s primary language. Further, the evidence showed that the tests were used for purposes for which they were valid and reliable, and that the tests were not racially, culturally or sexually discriminatory. Therefore, based on the totality of the evidence, District used valid and reliable assessment tools in evaluating Student. 38. Based upon the criteria discussed above for the procedural requirements of a school district to conduct an assessment, the requisite qualifications of the assessors and the parameters for test instruments and measures, District’s assessment of Student was appropriately conducted. However, whether the procedurally appropriate assessment was an adequate assessment is a separate question. An assessment can meet the procedural and technical requirements of the IDEA and yet be inadequate. As discussed below, District’s assessment of Student was inadequate. 39. The law requires that District use a variety of assessment tools and strategies to assess Student and gather information relevant to determining whether Student was eligible for special education services. According to the testimonial and documentary evidence offered and accepted in this hearing, the evidence showed that the purpose of District’s psychoeducational evaluation for Student is to determine Student’s eligibility for special education services under the categories of OHI or ED. Thus, the question here is whether District used a variety of assessment tools and strategies to assess Student’s educationally related mental health, behavioral, social and emotional functioning, and whether ultimately, it was able to gather relevant information through its assessment before determining that Student was not eligible for special education services? 40. In this hearing, District established that it used a variety of assessments’ tools in assessing Student’s educationally related mental health, behavioral, social and emotional needs and regarding the suspected disability in the area of ED. In addition, the evidence showed that District gathered relevant information about Student’s educationally related mental health, behavioral, social and emotional functioning through its psychoeducational assessment of Student. However, based on the totality of the evidence and the records in this case, it is unclear whether the information gathered by District through the psychoeducational assessment was useful in providing the IEP team with the necessary information to determine if Student qualified for special education. 41. A disabled child is eligible for special education if the child has a qualifying disability and requires instruction and services which cannot be provided with modification of the regular school program. The purpose of an initial assessment is to determine whether a child has a qualifying disability and cannot have his or her needs met through the modification of the regular school program. There is no dispute here that Student suffers from ADHD, a qualifying disability. The issue of whether the assessment was adequate turns on whether it provided information to the IEP team about whether Student could be educated through modifications of the regular school program or whether Student required specialized instruction and services from special education. District’s assessment failed for several reasons. 42. Dr. Valenti’s determination that Student did not qualify for special education under either OHI or ED was based upon her conclusion that his needs could be sufficiently met through the use of medication, the 504 Plan and a behavior support plan. With respect to medication, as discussed above, Student was on three different psychotropic drugs, which included drugs for depression and aggression. District’s assessment fails to provide any information as to how these medications may have affected the testing and what impact they have on whether or not Student qualifies under OHI or ED. Dr. Valenti’s report fails to address what impact, if any, the medications had in her analysis of the ED factors. Additionally, District’s assessment report, upon which District ultimately based its position at the IEP team meeting, assumes that the 504 Plan is a standard part of Student’s educational program. However, a 504 Plan, by its very definition, is not part of regular education. In order to qualify for a 504 Plan a student has to have a disability that impacts a major life function. A 504 plan is not a “modification of the regular school program” because it is a special program in and of itself, eligible only to students who are disabled and require more than regular education supports and services. Therefore, Dr. Valenti’s reliance on the 504 Plan, in part, as a reason for why Student did not meet the factors for OHI or ED was improper. 43. Furthermore, Dr. Valenti’s determination that Student was socially maladjusted failed to reconcile or ignored multiple inconsistent findings within the assessment results. For example, despite several clinically significant and “at-risk” scores gathered through the rating scales, Dr. Valenti failed to explain why the various behavioral, social and emotional issues reported by Student’s teachers, his coach and Mother, both through the BASC-II and their observations, have no educational impact or effect on Student’s ability to learn. Through her assessment of Student, Dr. Valenti failed to adequately address or answer many questions regarding Student’s mental health, behavioral, social and emotional functioning as revealed her assessment. 44. The evidence showed that Dr. Valenti relied on the BASC-II in concluding that Student is not emotionally disturbed, or that he is a child without a disability in relation to his mental health, behavioral, social and emotional functioning. However, Student’s Mother’s and the teachers’ questionnaires showed many at-risk or clinical significant findings for Student in many areas including atypicality, internalizing problems depression, withdrawal, aggression, adaptability, study skills, externalizing problems, school problems, behavior symptoms index and adaptive skills. Student’s self-rating scale also showed issues with social stress, anxiety, and self-esteem issues, among others. 45. Rather than explaining these clinical significant findings in her report, or during the hearing, Dr. Valenti concluded that Student is not emotionally disturbed, but failed to provide adequate reasons for her conclusion. She failed to justify her interpretations of Student’s scores in the BACS-II, and her opinions with adequate factual support. Dr. Valenti merely concluded that Student’s behavioral issues have nothing to do with ED, but social maladjustment. Dr. Valenti provided inadequate explanation for the several at-risk and clinical significant findings noted in Student. She failed to explain why the documented behavioral, social and emotional issues fail to affect Student educational performance, or why Student failed to meet the eligibility criteria for serious emotional disturbance despite his behavioral, social and emotional issues. Rather than explaining, Dr. Valenti simply concluded that Student is socially maladjusted due to conduct disorder. She offered no adequate explanation for her conclusion, and her opinion in this area is not persuasive. This opinion was lacking in serious support either through her testimony at the hearing or her written report. 15For example, the Devereux Scales of Mental Disorders is used to assess maladjustment in children, the Scales of Independent Behavior Revised used to measure adaptive behavior, and issues with internalizing and asocial maladaptive behaviors, and the Children Depression Inventory could be administered to further investigate Student’s issues with depression, anxiety, among others, and possible need for educational supports. 46. In addition, while District evaluated Student with BASC-II, District did not present or administer additional tests to confirm, explain or clarify the numerous conflicting and clinically significant and at-risk findings in the BASC-II, as reported through the questionnaires of Mother, Student and teachers.15When the BASC-II returned many at-risk and clinically significant findings in many of the assessed domains, District did not utilize any additional testing tools to assess Student’s mental health, behavioral, social and emotional functioning despite the findings. Further, while the evidence showed that District appropriately administered the BASC-II and the rating scales to Student, District failed to establish that Dr. Valenti adequately and appropriately interpreted Student’s scores from the BASC-II. Further, Dr. Valenti failed to adequately explain Student’s many clinically significant and at-risk findings in several of the domains tested in BASC-II. 47. Dr. Valenti testified that Student’s behavioral issues does not impact Student’s educational performance or ability to learn, however, the records supports a different conclusion. Student’s educational records showed that Student had received numerous suspensions from school due to behavioral issues. Also, Student’s teachers reported many behavioral issues in the school setting including occasional aggression, unnecessary touching of others students, immaturity, trouble getting along with others, seeming a little down and not working “like usual”, among other behavioral issues. Student often overreacts and misperceives the actions and words of others. Finally, his football coach reported issues with peer interactions, and indicated that Student is “not connected” with teammates and would often miss practice, among other issues. All of these noted issues were not fully addressed or resolved by Dr. Valenti, especially as she determined that Student’s educational performance is unaffected by his mental health, behavioral, social and emotional functioning. 48. Based on the testimonial and documentary evidence in this hearing, the purpose of District’s assessment is to assist the IEP team in determining the issues of Student’s special education eligibility. As discussed above, there were discrepancies in many of Student’s scores in the BASC-II, and District failed to clarify, explain or investigate these discrepancies adequately or satisfactorily. District did not prove that the information it gathered from the administration of the BASC-II regarding Student’s behavioral, social and emotional functioning were adequately evaluated and analyzed. Thus, the evidence failed to support a conclusion that the BASC-II was useful in answering the question of whether Student is emotionally disturbed, or whether ultimately he is eligible for special education services. 16This is not a finding that Student qualifies for special education. This is a finding that District’s assessment was not adequate and sufficiently comprehensive and was therefore inappropriate. 50. If a parent disagrees with an assessment obtained by a pubic educational agency, the parent has the right to obtain an IEE at public expense under specified circumstances. The parent must notify the school district that the parent disagrees with the assessment and request that the school district conduct an IEE at public expense. Faced with that request, the school district must provide an IEE at public expense, or deny the request and prove that its assessment is appropriate in a due process hearing. 51. Parents have disagreed with District’s psychoeducational assessment and requested an IEE at the November 16, 2012 IEP team meeting. Parents disagreed with District’s assessment of Student’s mental health needs, behavioral, social and emotional functioning, and disagreed with the determination of the IEP team that Student does not qualify for special education and related services. 52. In this hearing, District failed to establish that it appropriately assessed Student’s mental health needs, or his behavioral social and emotional functioning. Therefore, Parents are entitled to IEE at public expense. The IEE shall evaluate Student’s mental health needs, behavioral, social and emotional functioning. 4) A general pervasive mood of unhappiness or depression; 5) A tendency to develop physical symptoms or fears associated with personal or school problems. 5. The issue in this case is whether District’s October 2012 psychoeducational assessment appropriately assessed Student’s mental health needs, behavioral, social and emotional functioning. Based on Factual Findings 6-40, and Legal Conclusions 1-3, District demonstrated that it met several of the requirements for assessments. Qualified assessors conducted the assessments, and the assessment instruments were used for purposes for which the assessments are valid and reliable. The assessments were not racially or culturally biased. The psychoeducational assessment included observations and interviews with teachers, Parents and Student. The assessment resulted in a written report that reports that was presented at the IEP team meeting on November 16, 2012. 6. However, based on Factual Findings 41-49, and Legal Conclusions 1-4, District failed to demonstrate by a preponderance of the evidence that it adequately assessed Student’s mental health, behavioral, social and emotional functioning through its October 2012 psychoeducational assessment. District relied on BASC-II, which recorded several atrisk or clinically significant findings and District did not follow up on any of the issues noted in the BASC-II. These included issues with atypicality, hyperactivity, depression, aggression, withdrawal, attention, adaptability, social skills, leadership, study skills, activities of daily living and externalizing problems. Student also recorded significant or at-risk findings in behavioral symptoms index and adaptive skills, and issues with anxiety, selfesteem, social stress and depression were noted based on the BASC-II. Despite these at-risk or clinically significant findings, District failed to administer additional tests or utilized additional assessments tools, and failed to further investigate these findings before Dr. Valenti concluded that Student was socially maladjusted and not ED. Dr. Valenti failed to explain or adequately explain why these findings have no impact on Student’s ability to learn. She also failed to explain why many of Student’s classroom-based observed behaviors do not impact Student’s educational performance. 7. These failures left many questions unanswered regarding Student’s mental health, behavioral, social and emotional functioning, and the ultimate question of whether Student is emotionally disturbed. Based on the evidence, a conclusion that District appropriately or adequately assessed Student’s mental health, behavioral, social and emotional functioning through its psychoeducational assessment conducted in October 2012 cannot be supported. To the contrary, the evidence showed that District’s October 2012 psychoeducational assessment did not appropriately assess Student’s mental health, behavioral, social and emotional functioning due to inadequacy. 8. Based on the totality of the record, District failed to establish that its psychoeducational assessment provided Student’s IEP team with useful and sufficient information about Student’s mental health, behavioral, social and emotional functioning. The evidence failed to show that the assessment results as presented in the psychoeducational report was sufficient in assisting the IEP team to determine whether Student was eligible for services under IDEA. Thus, District’s psychoeducational assessment is found to be inadequate, and inappropriate for these reasons. 10. Based on Factual Findings 41-49 and 50-52, and Legal Conclusions 6-9, Student is entitled to an IEE at public expense because District failed to demonstrate that its October 2012 psychoeducational assessment was appropriate in assessing Student’s mental health, behavioral, social and emotional functioning. The evidence established that Parents timely and properly notified District of their disagreement with the assessment and requested that District fund an IEE at public expense. 1. District’s October 2012 psychoeducational evaluation failed to meet all legal requirements in that it failed to adequately assess Student’s mental health, behavioral, social and emotional functioning. 2. The District is ordered to fund an independent psychoeducational evaluation to assess Student’s mental health needs, behavioral, social and emotional functioning. Education Code section 56507, subdivision (d), requires that this Decision indicate the extent to which each party prevailed on each issue heard and decided in this due process matter. Student prevailed on the only issue that was heard and decided in this case.